Son of Mrs. C. Waye (formerly Hislop), of Conboyuro Light, Moreton Island, Queensland, Australia. Died of wounds on 22nd July 1917, aged 32. Born 23rd December 1884. 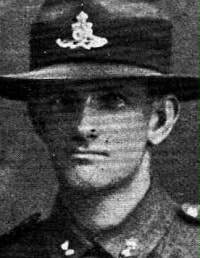 Son of Robert Bartlett Martin and Mary Martin, of 38, Queen's Parade, Devonport, Auckland, New Zealand. Family recount that a family house in Auckland was named "Trois Arbres" after the war in his memory. Three brothers enlisted for service in WW1. Leonard Joseph Martin, (10623) and Raymond Robert Martin (10635) saw active service abroad and Allan George Martin (35296) enlisted but did not embark. Remembered by his Great Niece Karen McLeod. 28th July 1917, aged 26. 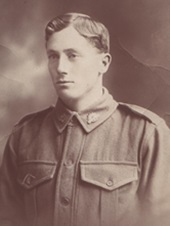 Son of Maggie Robinson of 10, Dod's St., Brunswick East, Victoria, Australia, and the late John Wood Robinson. Native of Costerfield. 23rd July 1917, aged 22. 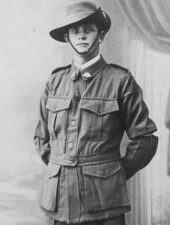 Son of Joseph and Catherine Wallis, of Kurrajong, Garah, New South Wales. Native of Moree. Cliff was wounded in the leg while doing trench maintenance south of Messines 22nd July 1917. He was taken to the 2nd Casualty Clearing Station at Steenwerck, and died of wounds next day. 4th August 1917, aged 39. 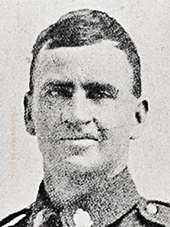 Son of Henry Lewis Williams and Bessie Williams; husband of A. Williams, of Netherby, Victoria, Australia. Native of Broomfield, Victoria. My grandfather, Lewis Williams' date of death is given officially, 4th August 1917, although the letter my grandmother received, I still have the original, from the chaplain at the casualty clearing station, indicated that he was “brought in on the 4th and died the next day”. My grandfather had three sons, of which, my father, the youngest was born in 1915. As a man in his late 30’s, with family responsibilities, the family story is that he was reluctant to join up, particularly while my grandmother was pregnant, but eventually did so in April 1916, when my father was nearly a year old. 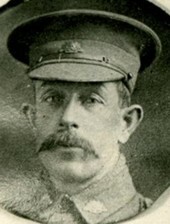 He left for England, with the 2nd replacements for the 39th Battalion in August 1916, went into France in May 1917, and died from wounds received, I believe, during the Messines campaign in August 1917.